Although this online Ed.D. program in education does require some on-campus visits, they are limited to a few evening courses over the entire length of the degree. With a unique blend of in-class and digital coursework, the University of North Carolina Greensboro’s doctoral program in Educational Leadership combines quality and convenience at every level. Low-residency requirements (i.e., weekly evening and occasional weekend course sessions) are spread across 11 courses in Administration and Leadership; Curricular and Instructional Leadership; and Social and Cultural Foundations. In just 33 credit hours, students in this top online Ed.D. program acquire the knowledge, skills, and credentials they need to succeed as top administrators, principals, and superintendents in the North Carolina public education system. Getting an Ed.D in Educational Leadership online at Rowan University starts with choosing your preferred concentration – and there are four great choices! Rowan University’s three-phase doctoral program in Educational Leadership is one of the most personalized and comprehensive degree tracks for education professionals seeking management and executive positions in public school systems. With concentrations available in Higher Education, P-12 (i.e., primary and secondary education), Nurse Education, as well as Rowan’s trademarked Community College Leadership Initiative (CCLI), candidates in this program can tailor their coursework and research to the focus areas of their choosing. Plus, students earning this affordable Ed.D. in educational leadership online have the option of completing their coursework in online or blended formats to suit their scheduling needs. Morgan State University’s online Ed.D program in higher education is one of the few to combine both leadership and community college administration into a single degree. Morgan State University’s accredited online Ed.D. program in education finds strength in a three-pronged approach to teaching that values impactful research, compassionate diversity, and local outreach as equal priorities. This 100% online, three-year program is geared towards current educational professionals, and the cohort learning model encourages intellectual cross-pollination and collaboration. In this system, students learn and grow together over the years, gaining fluency in the latest quantitative and qualitative research methods; educational policies and technologies; and many of the best practices for leadership and management in a public school setting. If you can’t decide between an online Ph.D. or Ed.D. program in educational leadership, fear not: New Mexico State University has both! To say that the doctoral education curriculum at New Mexico State University is interdisciplinary would be an understatement. Whether you are a candidate for a Doctor of Education (Ed.D.) or doctor of philosophy (Ph.D) in Educational Leadership at this trailblazing institution, you’re sure to absorb a wealth of material knowledge that spans law, policy, leadership and management, and technology—just to name a few. What’s more, NMSU offers not only one of the cheapest online Ed.D. degrees in the country, but also one of the best values for a hybridized in-person/distance learning format. Attending the online doctoral program in educational leadership and management at Hampton University gives you the change to develop expertise in a highly specialized field, such as STEM Leadership or Special Education. As educational institutions become increasingly specialized, they increasingly rely on leaders who possess advanced credentials in specific areas. That’s why Hampton University offers four tracks in its affordable online Ed.D. program. With concentrations available in Higher Education, Pre-K-12 Education, STEM Leadership, and Special Education, Hampton provides its doctoral candidates with the targeted skills and resources they need to seek out leadership positions in the public and private sector alike. This so-called “executive” program is the perfect bridge for administrators looking to build their resumes, networks, and apply their research in real-life educational settings. The affordable Ed.D in educational leadership online from UHCL doesn’t pick favorites; research, writing, and management are all equal priorities of this comprehensive curriculum. At the University of Houston Clear Lake, candidates earning their Ed.D. in Educational leadership online obtain an array of highly actionable and marketable skills that equip them for leadership roles throughout the public school system. That’s why UHCL’s curriculum is divided into three core competencies: Leadership (marketing, strategic planning, human and financial resources), Research (qualitative, quantitative, seminars), and Communications (professional writing, diversity training, management). Before they graduate, candidates have their chance to apply these foundational skills in person as well as on paper through both real program evaluations and a final dissertation. The University of North Texas’ Ph.D. in Educational Leadership online program offers the academic and financial support that many doctoral candidates need. Whether you’re looking for a top online Ph.D. or Ed.D. program, the University of North Texas has you covered. But (wait!) there’s more; UNT also offers a superintendent certification that can you can easily acquire alongside either of these terminal degrees. Like many other programs on this list, UNT requires Ed.D. and Ph.D. candidates alike to take a comprehensive survey of courses in leadership, research, and statistics, and to demonstrate the breadth of their knowledge through an independent research project. But with a Dissertation Boot Camp, Graduate Student Writing Support Office, and numerous merit scholarships dedicated to Educational Leadership students, few schools provide the overwhelming support you’ll find at UNT. 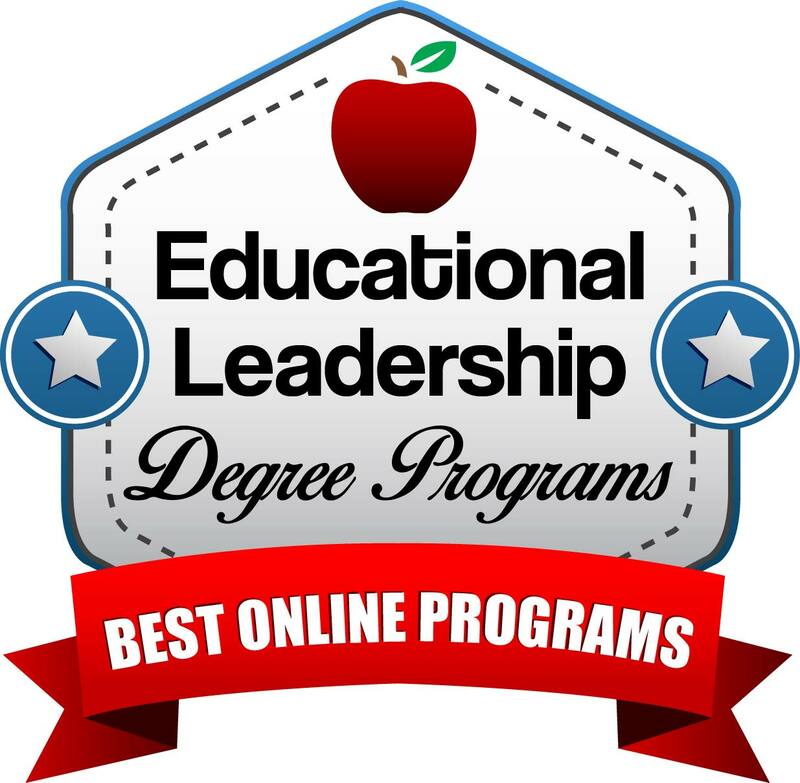 Of all the Ed.D educational leadership online degrees, Texas A&M University has one of the most selective. Texas A & M University at Commerce offers not only the most affordable online Ed.D. program in higher education in the state, but also arguably the best. As a result, this program is predictably selective—TAMUC only admits two online doctoral candidates to its online education program every year. But TAMUC’s program is also somewhat self-selecting, distinguishing itself from others on this list due to its explicit focus on educational administration. So while it may be more attractive to those with their hearts set on becoming a principal or superintendent, pure academics need not apply. Students in Purdue University’s online doctoral program in educational leadership benefit from occasional face-to-face meetings that provide interactive learning and networking opportunities. Purdue University’s accredited online Ed.D. program in education is arguably the most affordable and convenient way to earn a world-class degree from this prestigious institution – regardless of your chosen field. While Purdue’s large-format (8-10 students) cohort systems makes it one of the least intimate of such programs on this list, candidates have nearly as much to gain from each other as the qualified faculty. Entire cohorts take core classes via “distance education technology” and meet twice a semester on Saturdays to engage more deeply with the coursework, collaborate on projects, and network with potential future colleagues. In addition to its other selling points, Liberty University boasts the cheapest online Ed.D. on this ranking – and possibly in the entire country. Liberty University may be the cheapest online Ed.D. degree available anywhere. Under most circumstances, that would raise an eyebrow or two, but we’re certain that an online degree in Education Leadership from Liberty is as good of a value as you can get. With a host of NCATE-accredited courses that span technology, research, ethics and management, law, and cultural training, Liberty leaves no stone un-turned in its quest for career preparation. Not to mention that, aside from just three on-campus intensives throughout the entire program (and one on-campus dissertation defense), you can earn the entire degree from anywhere in the world! 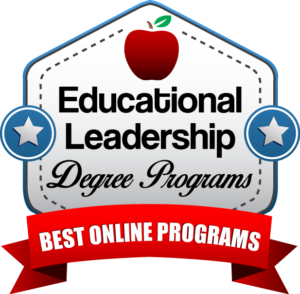 You’ve reached the end of our ranking of Ph.D. educational leadership online programs.